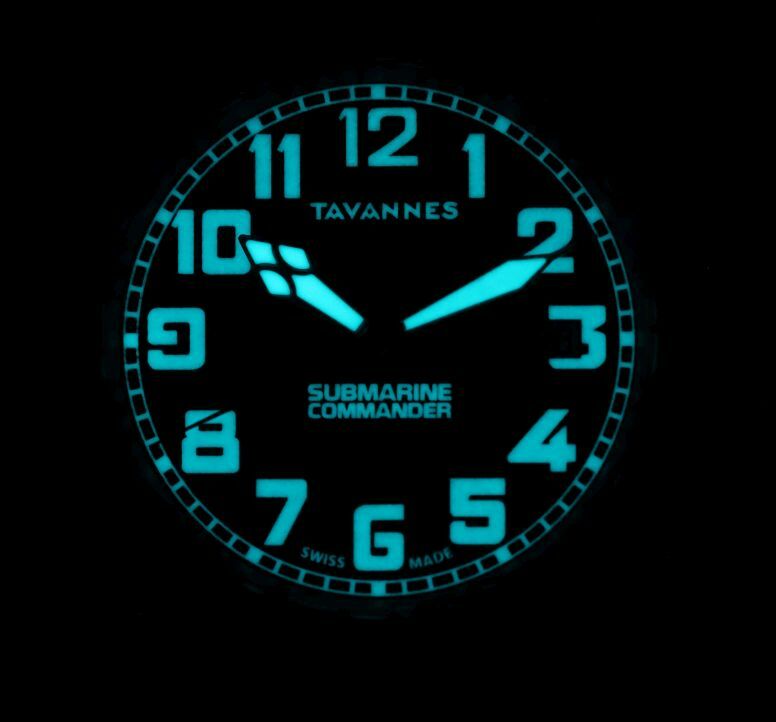 Water resistance due to high moisture levels in submarines, high pressure resistance due to extremely high pressure level underwater, anti-magnetic due to large magnetic engines in submarines, and maximum legibility day/night due to the low lighting in submarines. 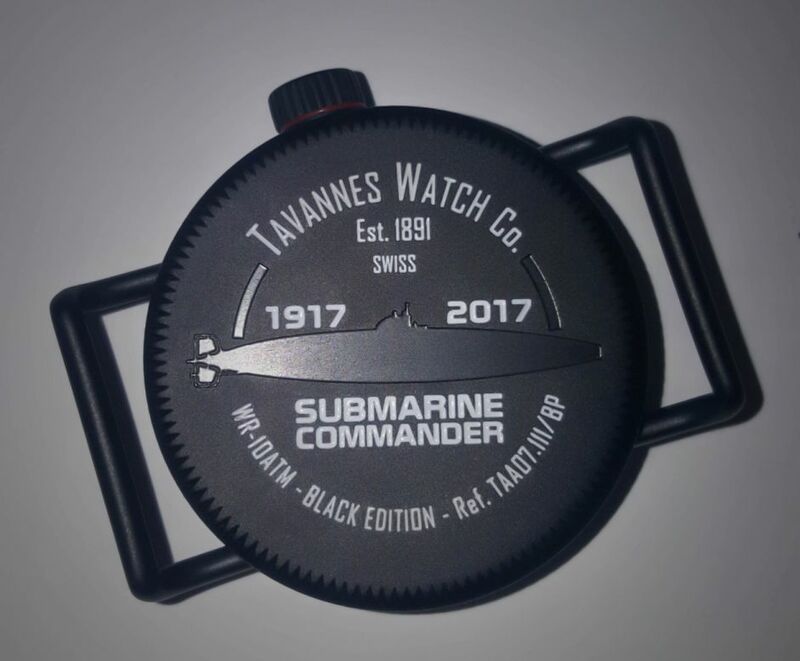 The commemorate that first watch, Tavanees has updated it to today's stringent standards. 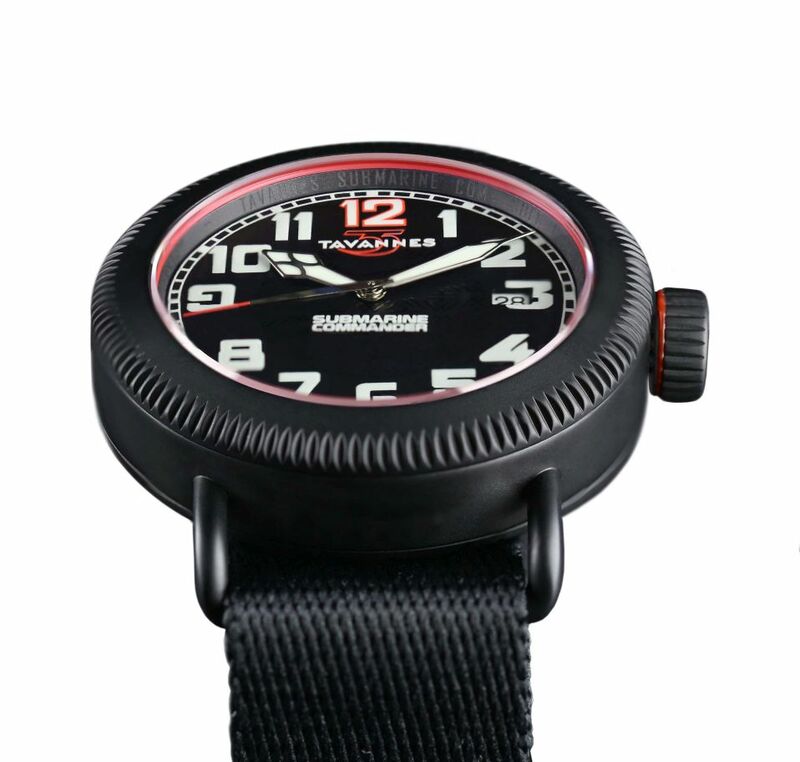 The case, in stainless steel or in steel black PVD, measures 41mm. 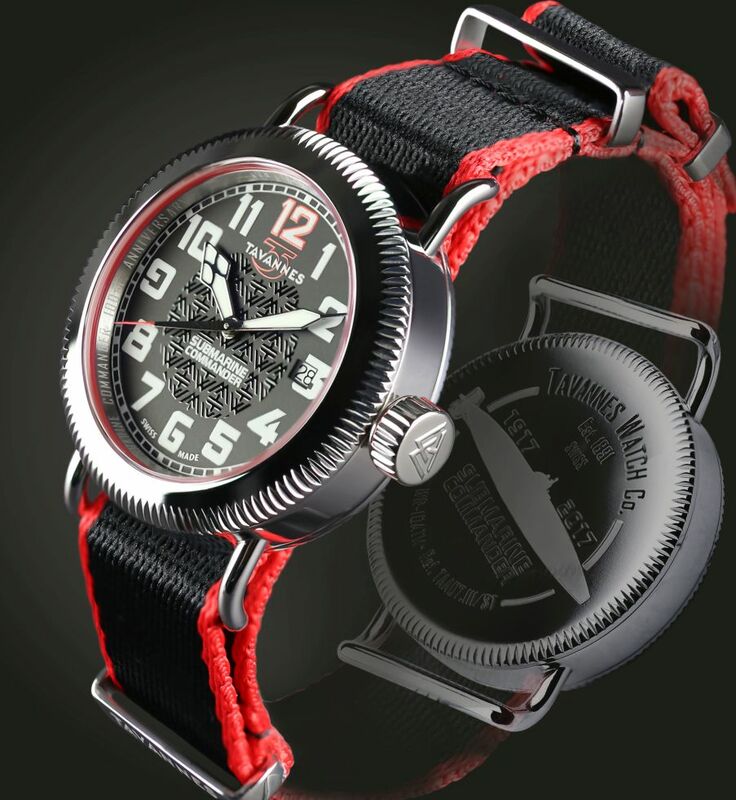 It has an AR-coated sapphire crystal and an engraved caseback. It is water resistant to 100 meters. Welded lugs. The red gaskets on the crown and crystal are also wear indicators for internal gaskets. When gasket's color fades to pink it is time to service the watch. Movement is the Swiss automatic ETA caliber 2824-2 or a Sellita SW200. Both with 25 jewels, 28,800 vph and a power reserve of 38 to 40 hours. 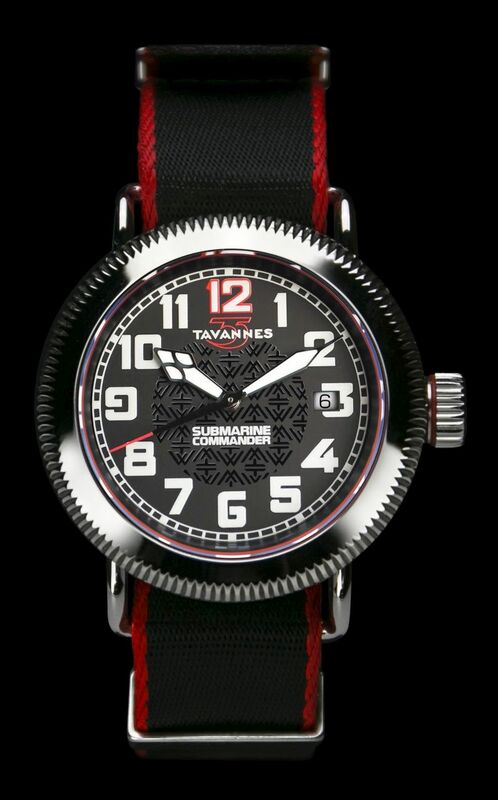 It has a black dial with SuperLuminova hands and Arabic numerals. 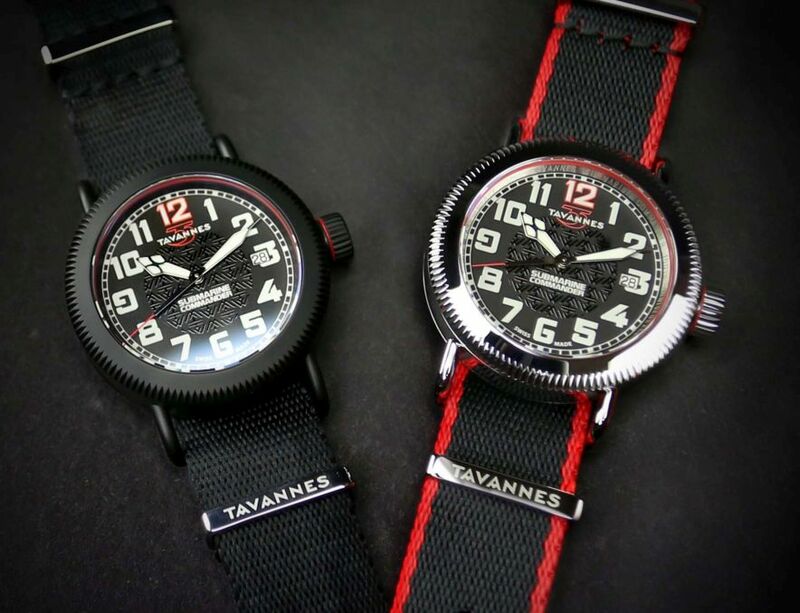 Seconds, 12 and Tavannes logo in red. Black lacquered central pattern. 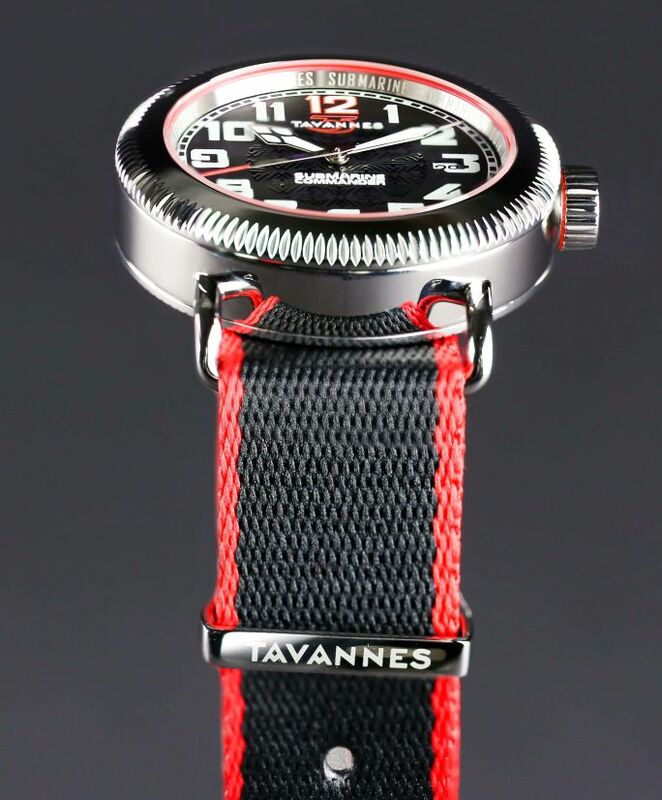 It comes on a braided NATO G-10 nylon strap or a black or brown lamb leather strap, with matching metal buckle.